Gil-galad (S. ‘Spark-of-Bright-Light’; born Ereinion, ‘Scion-of-Kings’), son of Fingon, was the last of the High-elven kings in Middle-earth. Born in Mithrim before the Dagor Bragollach, his father soon perceived that the land had become a frontier for war, and so sent his son to dwell with Círdan the Shipwright at the Havens of the Falas. Fingon was slain in the Nirnaeth Arnoediad, at which point Erenion became Heir to the new High King (his brother Turgon of Gondolin). In the aftermath of the Nirnaeth Arnoediad, the Havens of Falas were sacked, and Erenion was among the few who escaped; with Círdan and several others, he came to the Isle of Balar. When Turgon was slain and Gondolin fell, Erenion became the new High King of the Noldor, now going by the name Gil-galad (referencing his stellar appearance when battle-readied, with his spear Aiglos and his silver, star-studded shield at his side). At the beginning of the Second Age, Gil-galad ruled over the Noldor from Forlindon (‘North Lindon’), while Celeborn ruled Harlindon to the south. But when Celeborn departed for distant lands, the Grey-elves under his rule joined with Gil-galad. At first, his rule was a peaceful one, as the Dark Lord had been overthrown; but before long, Sauron was awake once more. Not yet evil to look upon, Sauron put on a mask of friendship, which only Gil-galad’s people were undeceived by. Nevertheless, Sauron was able to gain the confidence of the Elven-smiths of Eregion, ultimately betraying them as Gil-galad had feared. Sauron attacked once more, and in the War of the Last Alliance, his first realm was destroyed. 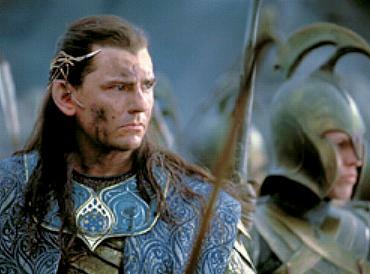 But Gil-galad fell in single combat with the Dark Lord himself. His realm, however, managed to withstand his own passing, and by the Third Age had become the longest of all Eldarin realms to endure in Middle-earth. But it was finally deserted sometime during the Fourth Age. * Note: Gil-galad was the original Keeper of Vilya, the most powerful of the Three Elven Rings. 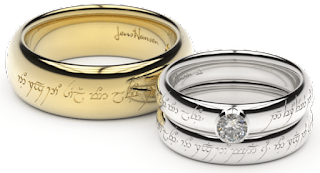 Before his passing, he gave the Ring to Elrond of Rivendell, thus making him chief of the Eldar in Middle-earth.